Belfair sits alongside the Union River, which are the headwaters of the Hood Canal, on the far south end of the Kitsap Peninsula, providing convenient access to both the many attractions found on the Olympic Peninsula, as well as big city amenities in Tacoma. Belfair waterfront real estate owners can also look forward to enjoying spectacular views from home in the innermost waters of Hood Canal that provide endless entertainment, from fishing and clamming to kayaking, boating and just about any other water sport imaginable. Beach combing, swimming, water skiing and shell fishing can also be enjoyed at Twanoh State Park and Belfair State Park. As the gateway to the Tahuya State Forest, Belfair waterfront real estate owners also have access to a myriad of outdoor adventures on land, including mountain biking, hiking, horseback riding and off-road riding. But it’s not all about recreational activities, there’s a great farmers market hosted on Saturdays from May to September, and local residents are also close to two major shopping centers, a variety of shops and eateries, an art gallery and the Mosquito Fleet Winery. Whether you’re looking for a grand waterfront estate with western exposure and lots of waterfront with lots of privacy on the Hood Canal with tidelands for crabbing and clamming and perhaps even a boat house, vacant land to build your dream home or a fixer-upper at a bargain price, complete with tideland rights and a beach covered in oysters, Belfair waterfront real estate offers it all. 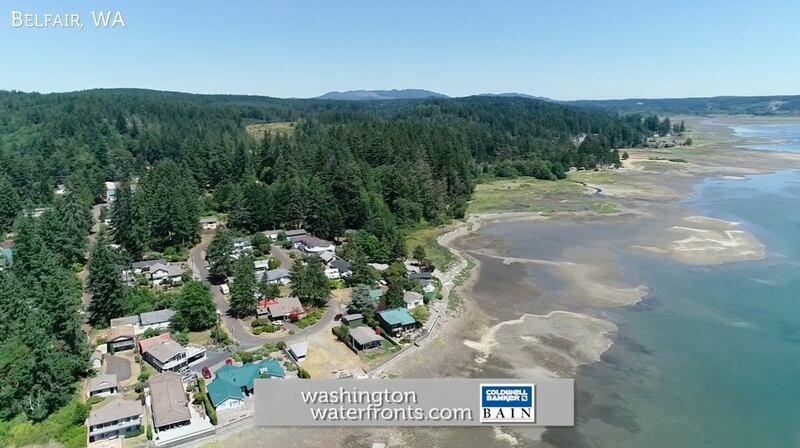 You’ll find some of the best values around for waterfront property in Belfair, allowing you to enjoy fabulous water, and often mountain, views while experiencing every season on the Hood Canal for the best of waterfront living in Mason County. Take advantage of our industry-leading tools to make your property search as easy as possible and be sure to register for a FREE account so that you can receive email alerts whenever new Belfair waterfront real estate for sale hits the market. If you're seeking to sell your Belfair waterfront property, contact our Waterfront Specialists directly for a comprehensive listing analysis and to learn more about the cutting-edge marketing strategies we'll use to sell your home quickly for top dollar!